1. 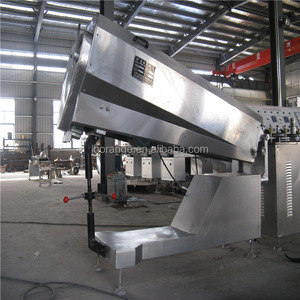 Machine Brief Introduction: Hard/lollipop Candy depositing line is advanced equipment which can continuously produce various kinds of hard candies under a strict sanitary condition. 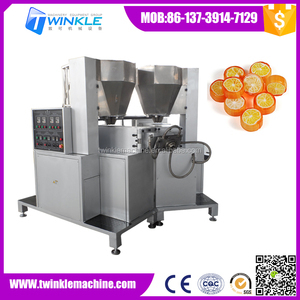 This line can automatically produce high-quality hard candy, such as single color candy, two-color candy, crystal candy, central-filling candy, etc. 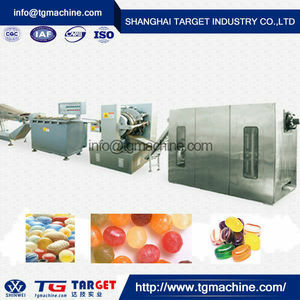 The processing line is also an advanced and continuous plant for making different sizes of ball-type lollipop candies, also can make the two-color striped lollipops, and ball-type lollipop (stick &ndash;adding can be done automatically). 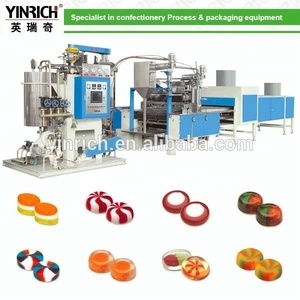 The production line is a complete plant for making different kinds of die-formed hard candies. 5. 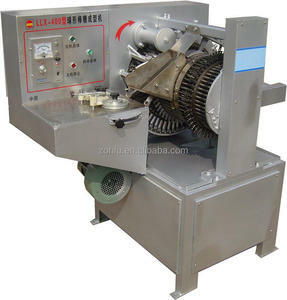 The central filler, rope sizer and former work together available. It is available to buy the parts from us forever at low price. 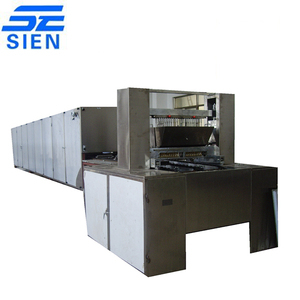 Shanghai Sien Food Machinery Manufacturing Co., Ltd.
Beijing Yinrich Technology Developing Co., Ltd.
Shandong Dejiu International Trading Co., Ltd.
Today Haitel'products can be found in many countries and regions around the world. Today Haitel'products can be found in many countries and regions around the world. How to place my order9 You can place the order on line, or contact us with email directly. Shanghai Yucho Industrial Co., Ltd.
We have a professional technic team ready to develop new products and solve our clients' inquiries. We have a professional technic team ready to develop new products and solve our clients' inquiries. With continuous effort, we are moving forward for more excellent products to fulfill our clients' necessity. Shanghai Golden Orient Machinery Co., Ltd. This set merges machinery manufacturing and electronical program into one. It takes advantage of pneumatic system to depositing and demoulding automatically to reach high level automation. 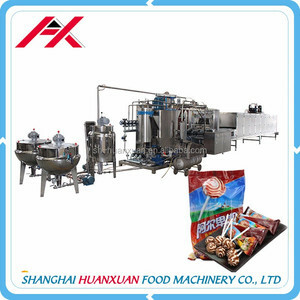 This toffee candy production line is with high output, which is suitable for producing pure toffee, double-color toffee, centre-filling toffee, stripe toffee and so on Toffee candy samples . 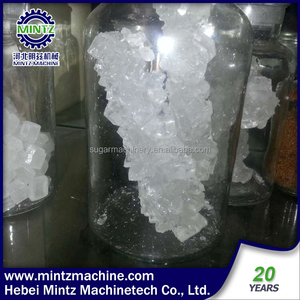 located Hebei Province, near to Beijng Capital and Tianjin Seaport, is a professional production of sugar machines and related Starch & Flour machine devices business. Through 20 years of development has become a group company with design and development, production, sale and technology solution in Hebei Province. Have a strong technical force, high-level management personnel and the strong production capacity and improve the tracking quality inspection. 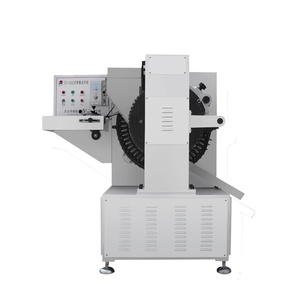 The high effiency gummy candy making machine line is an ideal equipment for continuous production of high quality candy (QQ candy), such as single/double color QQ candy. By replacing the mould of the depositing head, it can produce jelly candy of high quality, various shapes and different colors. 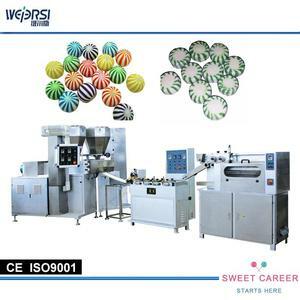 This whole candy processing production line with the High-degree automation ensures of stable production and saves time, labor force and occupation to serve the purpose of reducing the cost.